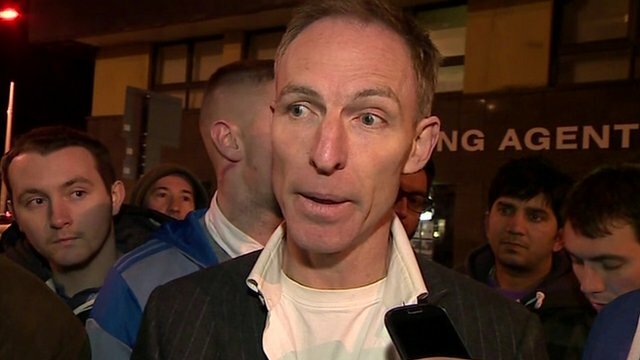 Reports of Glasgow helicopter crash Jump to media player The shadow development secretary Jim Murphy tells the BBC there may be multiple injuries after a helicopter crash in Glasgow. 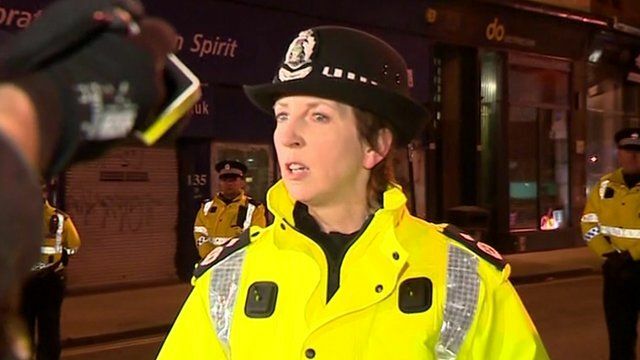 Pub 'looks like roof blown off' Jump to media player A police helicopter that crashed into the roof of a pub in Glasgow sounded like a "large firework or... a truck falling over", and that it looked "like the roof had blown off". 'I saw helicopter crash into pub' Jump to media player Gordon Smart, Editor of the Sun's Scottish section, has told the BBC he was 250m away when he saw a police helicopter fall on a Glasgow pub. 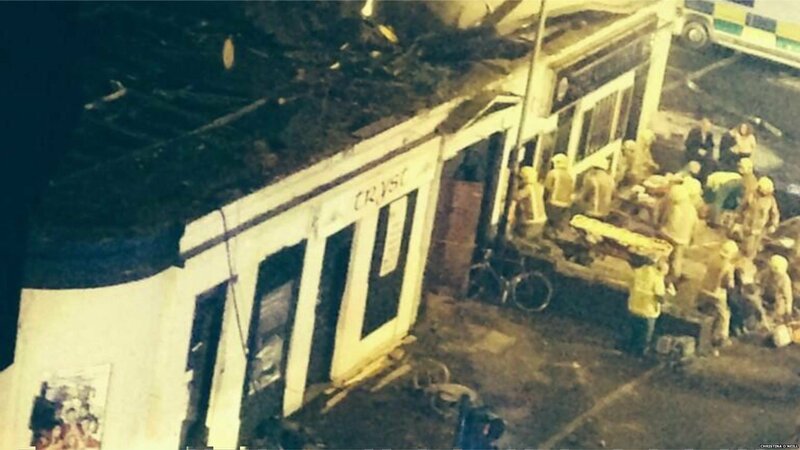 A police helicopter has crashed into a busy pub on the banks of the River Clyde in Glasgow. 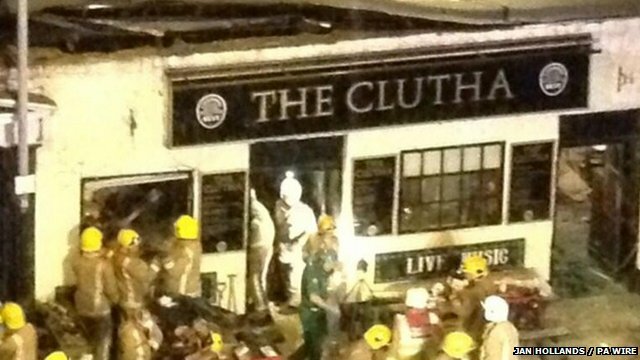 The crash happened at The Clutha in Stockwell Street at 22:25 GMT on Friday. Deputy Chief Constable Rose Fitzpatrick confirmed there were three people on board and there were a number of casualties in the incident. It has been reported that about 120 people were in the pub at the time.